Now that we know we are expecting a girl, it's fun to think that maybe our daughter might like playing in the dirt half as much as her mom. 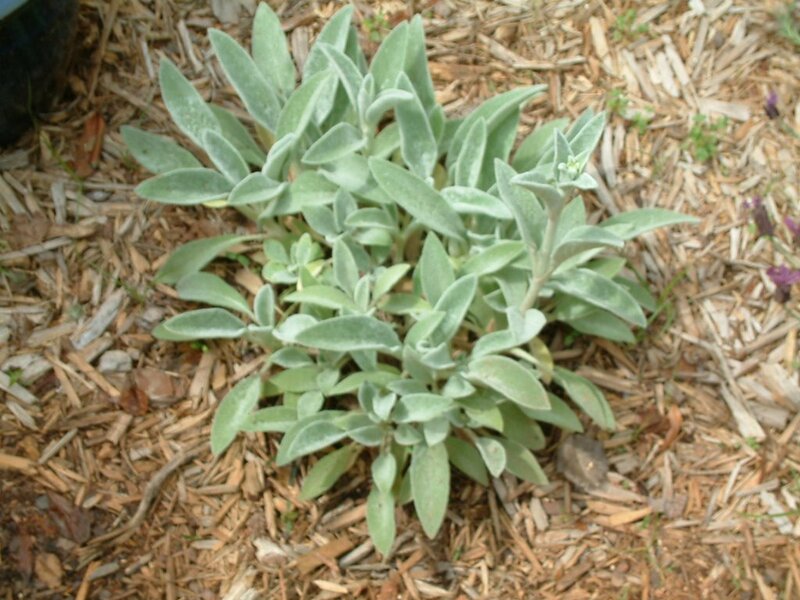 When I was a youngster, my favorite plant was Lamb's Ear . What's more fun than a furry plant? I first discovered Lamb's Ear (Stachys byzantina) at a local public garden, and when my mother started a herb garden, she planted some Lamb's Ear for me. So it has long been one of my favorite plants, and of course it was one of the first plants I put in my own garden. However, Lamb's Ear is not the only fun and furry plant out there. 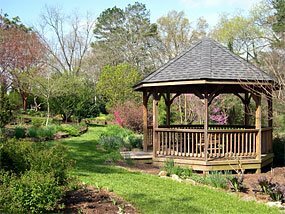 At the recent Master Gardener plant sale, I discovered this treasure. 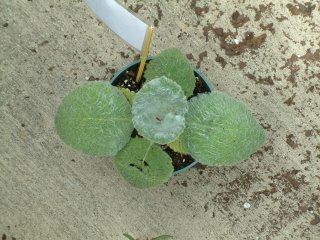 According to the donor, it's a type of Salvia. It looks like a little "Audrey 2" from Little Shop of Horrors, but this monster plant is soft and cuddly. 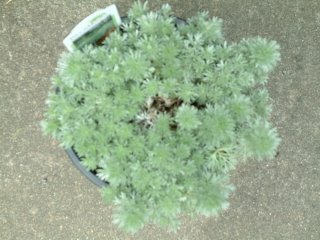 I also found this furry plant at Home Depot, but I forgot the name. Can anyone help? I'll try to find the tag and update this post later. Me: Hey, knock that off. I don’t like it when people watch over my shoulder. Me: I’m glad you approve of the Columbine, but I can’t plant it while you’re gorging yourself at it! Me: Alright, just hang on. I’m going to be done soon, then you can spend as much time with the flowers as you like. Me: Hold on! I just need to water these plants in. Finals week is over, the grades are in, and my Netflix subscription is renewed. Life is good. 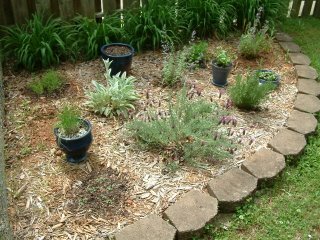 In 2005, I listed some of my favorite Gardening Movies. It's time to revise the top 10. Keep in mind that not all of these movies are actually about gardening; some are just good movies with botanical symbolism and/or flowery names. I'm a big fan of Bill Murray, especially in Groundhog Day and Lost in Translation. Broken Flowers is much in the same realm as Lost in Translation. For the first 10 seconds after this movie ended, I was dumbfounded and cursing the abrupt ending. Then 10 minutes later I realized the beauty of a non-packaged Hollywood ended and I wished I hadn't watched it alone so I had someone to talk to it over with. Thank goodness for on-line forums. Long before the Broadway musical and spin-off movie musical, there was this original cult classic B-movie. The original version offers a cameo by a young Jack Nicholson, a surprise ending, and all the frills of a typical low-budget movie. And the original is not a musical, which is a plus in my book. These two movies made the top of my list because they are true gardening moviesÂthey are focused around an obsession for plants. They are also both British comedies. Greenfingers is based on a true story of a British prison that gave inmates a chance to become gardeners, while Saving Grace is about a woman who finds herself penniless after her husbandÂs death and resorts to utilizing her gardening skills and resources on a special plant much different from her prize-winning orchids. Somehow this movie is both a thriller and a contemplative drama, and it blends perfectly together. Rachel Weisz really deserved the Best Supporting Actress Oscar for this movie. With Oscar-nominated performances by Nicolas Cage and Meryl Streep, Adaptation is a strange but mesmerizing journey loosely based on the novel The Orchid Thief. Based on a best-selling novel, this movie handles tough subjects like poverty analcoholismsm, but still manages to be heart-warming. This movie is a romance, ergo traditionally a chick flick, but my husband actually likes it, too. If you are a true plant geek you will swoon over the most beautiful rooftop garden IÂve ever seen on film, not Christian Slater as a florist. This film resonated with me I was going through my quarter life crisis. Zach Braff wears many hats as writer/director/actor in this film. (He also stars in one of my favorite TV shows, Scrubs.) Hey, and there's even a blog for this movie- Zach Braff's Garden State Blog. Any other suggestions? Please comment!